Candidate Mark Hamilton ineligible for Spokane City Council? Conservative candidate Mark Hamilton is finding out that there is more to winning and loosing elections that just the vote count on election day. Often times it comes down the details of the law. In fact, Hamilton could lose his race for the Spokane City Council against sitting Councilwomen Amber Waldref months before the first ballots are mailed. It looks like Mark Hamilton is not a legal resident of the City Ward in which he is running to represent. 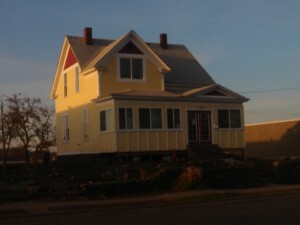 The picture to the right is the house in which Mark Hamilton is presently residing. The problem for him is that he has only been there for a few months . . . not long enough to meet the eligibility requirements to run for office. (The story is also being covered at EWPolitics on this page).